As a child, I often played dress-up with the treasures I found in Grandma’s attic. I especially loved the hats of bygone Easters. Those wide-brimmed, floral and ribbon bedecked bonnets allowed my imagination to take flight, and I’d picture myself on the arm of a handsome suitor as we strolled along Fifth Avenue. Although hats started out as protection against the elements, through much of history, they were both a social and a fashion statement. No well-bred lady left the house without a head covering, and for a good deal of history, women also kept their heads covered while indoors. Strict laws forbade Puritan and Pilgrim woman from using ornamentation, “gay” colors, or silk fabrics, and Quaker women wore a snug, simple white cap that tied under the chin. However, the influx of diverse settlers and our growing trade with Europe soon heralded a change in fashion attitudes, the austere giving way to the grandiose. 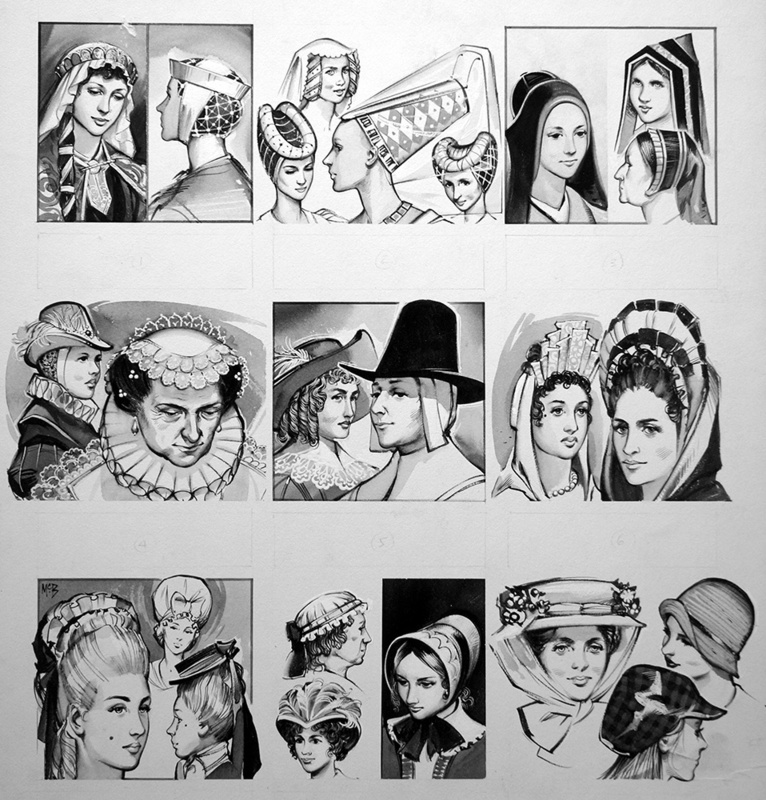 Beginning in 1810 and remaining fashionable in various forms for fifty years, bonnets dominated women’s fashion. Made of straw, board, or silk-covered buckram, bonnets were decorated with ribbons, flowers, feathers, and gauze trims. By 1860, when hats fastened with hatpins replaced bonnets, hats became more and more lavishly decorated, especially with ornamental plumage. By the 1880’s hats were piled high with everything from feathers to fruit to entire stuffed birds and reptiles. It was not uncommon to see a woman decked out in a hat that included egret plumes, owl heads, sparrow wings, and four or five stuffed warblers perched on her head! The craze intensified further in the early 1900’s with the advent of shoulder-width brims that allowed for even more exotic and unique adornment. The demand for feathers was so great that many birds, including the snowy egret and the ostrich, risked extinction. For this reason, in 1896 a group of society women in Boston began boycotting hats decked out with birds and feathers. From this small movement grew the Audubon Society. However, several other factors played a role in weaning women from adorning their heads with plumage. One was the growing popularity of the automobile. A woman might look graceful and elegant with her ostrich plume floating behind her as she cantered sidesaddle across her spacious lawns, but the effect was not nearly as appealing when she motored along at twenty or more miles an hour! Then in 1913 dancer Irene Castle bobbed her hair and started a new trend. Elaborate hats with their abundant ornamentation needed the support of a woman’s long hair, piled high on her head. The shorter hairstyles afforded no such support. Hats began to decrease in size and pretentiousness. The trend toward more modest hats intensified with the onset of World War I. Large feathers and ornate decoration were considered unpatriotic, suggesting a woman cared more for her appearance than the war effort. By contrast, during World War II, although rationing was prevalent, hat materials were not rationed. Women wore richly decorated hats to brighten otherwise dreary fashions as well as people’s spirits. No one epitomized this more than Carmen Miranda, the flamboyant singer and actress known for her fruit-laden hats. The continued popularity of shorter hairstyles throughout the twenties and thirties made the close-fitting, helmet-shaped cloche popular. These hats were adorned with only simple ribbon or a small brooch. Some included lace, a veil, or pleated folds. Simple small brimmed hats and flat berets were also popular. Fashion once again changed dramatically in 1947 when Christian Dior debuted his New Look, with hats to match each outfit in his collection. These hats ranged from highly ornate styles with wide brims and veils to the very simple pillbox, favored by First Lady Jackie Kennedy in the early 1960’s. However, even a popular First Lady couldn’t keep the hat from declining, as more and more women preferred to showcase their hairdos, rather than hide them. In 1967 when the Catholic Church lifted its edict requiring women cover their heads in church, hat wearing became even less popular. Now, with few exceptions, many Americans once again only wear hats as protection against the elements.